Â Thank you for having me at this important event on the sidelines of the High Level Committee on South-South Cooperation to share with you Afghanistanâ€™s extensive experience with South-South Cooperation and the benefits it offers. I am happy to illustrate the fruitful results of Afghanistanâ€™s South-South relationships particularly as we are joined today by Indiaâ€™s Secretary of External Affairs, Ambassador Vasisht. Ambassador Mitra Vasisht has seen the productive relationship between our two countries from Indiaâ€™s perspective, and I am sure her thoughts and expertise will add great value to this discussion.Â I wish to thank my fellow panelist, Ambassador Kamau, and Moderator Mr. Warren Hoge. Thank you very much to Christopher Coleman and everyone at UN CivCap for hosting this important conversation and for their commitment to increasing civilian capacity in post-conflict regions. I wish to thank in particular Ms. Sarah Cliffe for her presentation on the Civcap initiative, the CAPMATCH on-line platform. I would also like to thank the International Peace Institute for their continued support of peace building and hosting us here today. From Afghanistanâ€™s perspective, South-South Cooperation has been integral to development efforts. It helps us develop our civilian capacity as we rebuild in the aftermath of thirty years of conflict in Afghanistan. Conflict has not only led to loss of human capital, but the destruction of infrastructure in the country including schools, clinics, roads, and industrial and agricultural facilities. Throughout decades of war and conflict, the state grew weaker. In a sense, Afghanistanâ€™s development was frozen in time. While the rest of the region delved into the world of new technologies, Afghanistanâ€™s capacity for modernity remained limited. A great number of educated people left the country as a result of waves of war and bloody foreign intervention. The reconstruction of Afghanistan after the fall of the Taliban in 2001, began as a major North-South project.Â The international community who mainly committed to rebuilding the country were primarily the US, the European Union, Japan and important regional partners including India, China, Iran and others.Â India became one of the biggest partners for development in Afghanistan. In an increasingly globalized world, there is still logic behind the use of resources within regional neighborhood, which can be more efficient economically and environmentally. South-South Cooperation is an example of that efficiency. It is not only a matter of cost efficiency but also cultural convenience. More recently our focus has turned to forging regional relationships, and Afghanistanâ€™s role in the middle of regional cooperation in the heart of Asia. We are still working to define and redefine these relations. The Istanbul Process for regional cooperation has been central to those efforts, as well as work in the Regional Economic Cooperation Conference on Afghanistan (RECCA), Economic Cooperation Organization (ECO), and South Asian Association for Regional Cooperation (SAARC). Cooperation is not only economic in character, it includes efforts to build social and cultural cooperation between the many countries in the region. South-South cooperation involves the sharing of knowledge, experiences, policies, along with lessons learnt and best practices. Our deepening partnerships within our region and with India have been, and will always be, central to developing the five aforementioned civilian capacities in Afghanistan. The relationship between Afghanistan and India can serve as a positive example from which others can learn. Indiaâ€™s unwavering support in Afghanistan has been important to our national development. India has been a strong strategic partner in the region since the early days of its independence. India has helped us move forward as a strong country that provides its people with security, justice, and economic opportunity. India provides 2,000 scholarships to Afghans annually for schooling and training in India, including for 500 Afghan civil servants. India has also set up an Agricultural University to tap the potential in Agriculture in Afghanistan. More than 100 Indian-supported but Afghan-owned small development projects are being implemented. Five Indian Medical Missions (IMMs) have been working in Kabul, Herat, Jalalabad, Kandahar and Mazar-e-Sharif, attending and disbursing medicines to 30,000 patients per month. India also undertook the rehabilitation of the Indira Gandhi Institute for Child Health (IGICH) in Kabul, the largest pediatric hospital in Afghanistan. Capacity building of Afghan doctors has been a vital component of assistance and many IGICH specialists train at the All India Institute of Medical Sciences, New Delhi. One notable project made possible by Indian aid was a $17 million grant for the modernization of a hydropower plant in Tajikistan further boosting co-operation in the region. 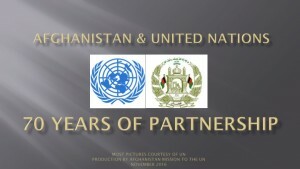 The October 2011 the strategic partnership agreement signed by H.E. President Karzai and H.E. Prime Minister Singh is indicative of the significant cooperation that benefits Afghans and Indians alike. This agreement formalized a framework for cooperation in the areas of: political and security; trade and economic; capacity development and education; and social, cultural, civil society and people-to-people relations. Indiaâ€™s support has made a fundamental, positive change in our development. Perhaps even more importantly, Indiaâ€™s sharing of expertise, experience in successful post-conflict transition, and best practices has been invaluable to our progress. Despite Afghanistanâ€™s improvements through South-South Cooperation, it is important to also view our development in light of the challenges we face. Afghanistan as a landlocked least developing country faces unique challenges to accessing the world markets. These challenges impact our transport infrastructure, border crossing and high transport and trade costs. We see South-South cooperation, not as a substitute for but rather as a complement to North-South cooperation, and wish to see continued support from the international community for the efforts of the developing countries to expand South-South cooperation. But as the example of the relationship between Afghanistan and India shows, South-South Cooperation is important in itself. The concept is young, but it is reinforced by our experience. We are grateful for the support of India and our other development partners, with whom we have established strong bonds of cooperation. 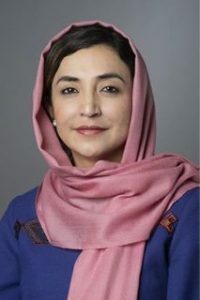 Increasing South-South Cooperation can help Afghanistan become a beacon of social, political, and economic success that will enrich both the region and the global community.